I love Newcastle; the people, the vibe, the history…so, if like me, you appreciate buildings with character and lots of natural light, you will fall in love with this stunning venue. The Secret Tower is a hidden gem that encapsulates everything needed for a city venue. The panoramic views of Newcastle-upon-Tyne from their White Room, including iconic buildings such as The Sage and The Tyne Bridge, make this a pretty special place for a wedding. The outdoor spaces are equally captivating and they provide plenty of atmospheric lighting and the perfect backdrop for evening celebrations with family and friends. I had the pleasure of styling a wedding at this beautiful north east venue. After a consultation with my lovely couple, we decided to go with a classic, timeless palette of silver, whites and foliage greens which really suited The Secret Tower and its neutral décor. 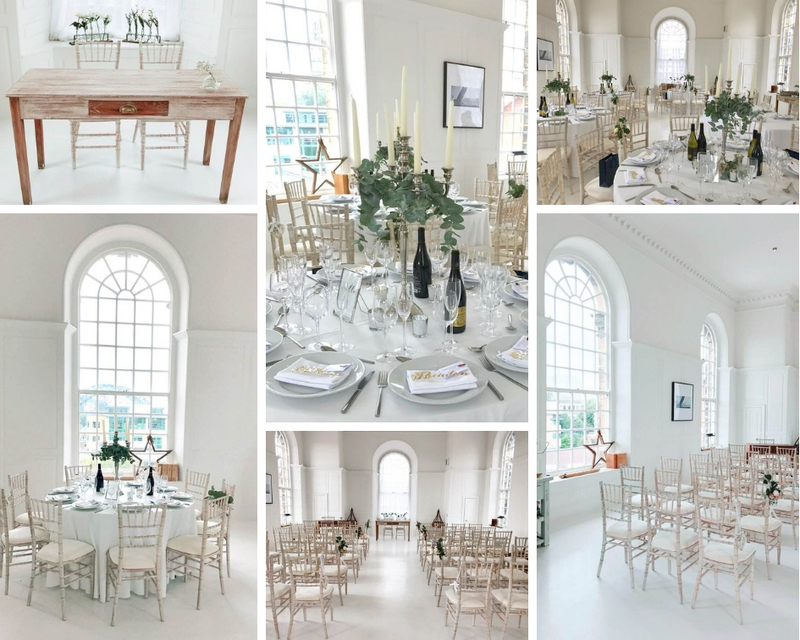 On the day, the White Room looked sublimely elegant and alluring with our candelabras and glass accents. All foliage and bouquets were provided by the very talented Sharon at The Little Flower House. 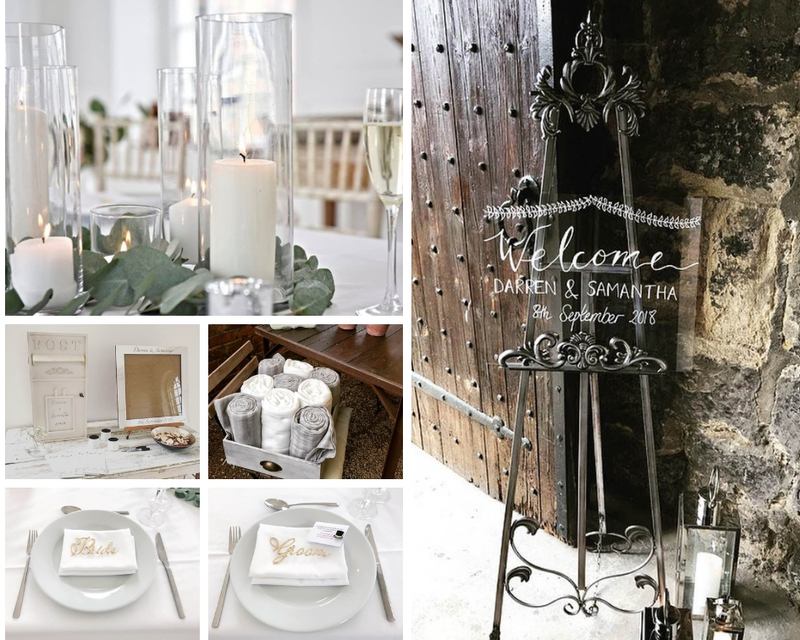 Bespoke items such as a personalised acrylic welcome sign, an ornate silver table plan, a postbox and blanket drawer made this charming venue even more personal and intimate for my gorgeous bride and groom.